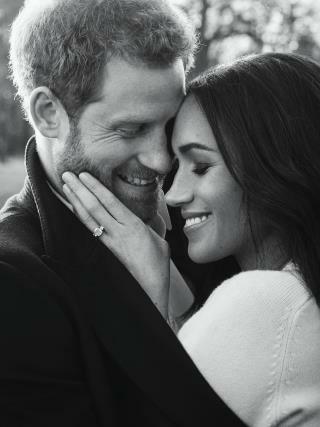 (Newser) – Alexi Lubomirski is accustomed to photographing celebrities, but he had a shoot this week that was more high profile than usual: the engagement portraits for Prince Harry and Meghan Markle, which USA Today has deemed "exquisite." People reports that Lubomirski captured the pair earlier this week at Windsor Castle's Frogmore House, and a Kensington Palace tweet Thursday displayed the two official picks from the session. Oh boy the media morons are happy now, they have another beautiful girl to hound and pick on. I am SICK of hearing about Megan Markle. Frankly, I see absolutely no appeal and I think Harry is one of those defiant spoiled brat types. Thank God his brother is first in line. I do think William is a decent person. Even his mother said that many years ago. She loved them both but William was a gift.